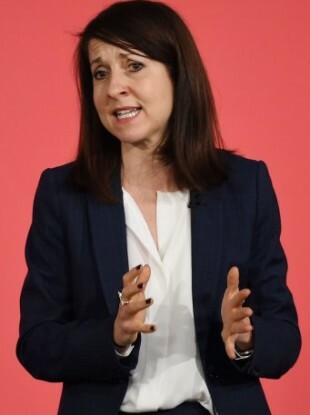 BRITISH LABOUR PARTY politician Liz Kendall has hit out at the political editor of the Mail on Sunday after he asked her how much she weighs. The Labour leadership hopeful told BBC radio that it’s ‘unbelievable’ that she was asked about her weight in an interview about her campaign. The journalist Simon Walters also wrote about Kendall’s wardrobe and compared her to the Duchess of Cambridge. In the article Walters wrote, “Kendall maintains her lithe figure by jogging 20 miles a week. “L.K. Bennett and Reiss are two of the Duchess of Cambridge’s favourite fashion brands – and slinky brunette Liz, or Elizabeth Louise, to give her full Royal-sounding Christian names, looks as good in them as slinky brunette Kate. Kendall told the BBC Radio 5 Live show, Pienaar’s Politics, “I just think it’s unbelievable that in the 21st Century women still get asked such very, very different questions from men. “Can you imagine the Mail on Sunday asking the weight of the prime minister, George Osborne or any other leading politician? I cannot wait for a world when women are judged the same as men and not by those kinds of questions. Email “Politician tells journalist to 'f*** off' after being asked how much she weighs ”. Feedback on “Politician tells journalist to 'f*** off' after being asked how much she weighs ”.